Are you looking for baseboard heating replacement in North NJ? If so, 1st Choice Plumbing, Heating and Drain Service offers residential and commercial baseboard heating replacement. As an established plumbing company, we are fully insured, licensed and bonded and offer our customers a variety of baseboard heating services for your heating system. Regardless of the size or complexity of your baseboard heating issue, the professionals at 1st Choice Plumbing, Heating and Drain Service can help. As the years pass, your baseboard heating system may inevitably begin to fail. Our heating technicians have the knowledge and skills necessary to replace any baseboard heating system installed on your property. Our services are guaranteed to keep you warm and comfortable throughout the winter months. Our expert knowledge and unparalleled skills have given us the ability to provide each of our customers with advice, guidance and high quality installations. Services by 1st Choice Plumbing, Heating and Drain Service are a true investment that will benefit you for many years to come. Our baseboard heating services in North NJ are available 24 hours a day, 7 days a week. For more information on baseboard heating replacement in North NJ, call 1st Choice Plumbing, Heating and Drain Service at 201-288-0390 today! 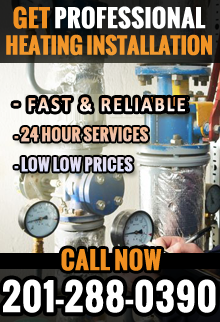 1st Choice Plumbing, Heating & Drain Service – Your trusted source for baseboard heating replacement in North NJ.